Are you looking to explore the content marketing industry? 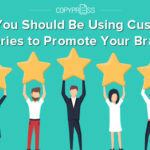 CopyPress has recently interviewed and researched a variety of key players in the throughout this space. The goal was to determine the current content ecosystem as a whole and decipher what has changed over the years. 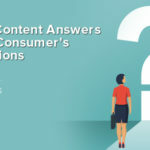 Over the past few months, you might have seen our State of Content Marketing survey being passed around. We asked freelance creatives, marketing professionals, and enterprise marketing professionals their opinion on content marketing. The results are in! 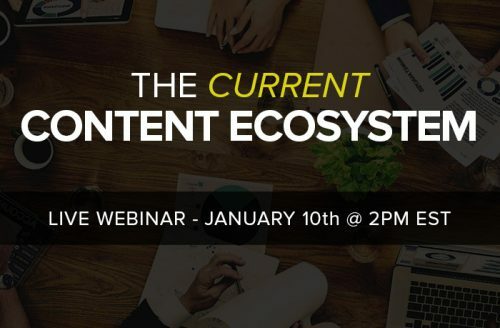 Join us for a free webinar on Tuesday, January 10, 2017 at 2pm EST to discuss our findings on The Current Content Ecosystem. It is easy to register (and to get reminders when the webinar will start). Visit our The Current Content Ecosystem Webinar registration page. Once you completed the registration, you will receive a confirmation email as well as a reminder email when the webinar gets closer. 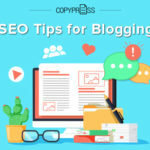 Everyone in the content marketing industry or anyone interested in the industry will gain valuable insights into the content ecosystem. Freelance creatives will benefit from exploring the marketing professional side of content marketing and will also be able to compare their thoughts with their freelance peers. Where do you stack up in the current content ecosystem? Marketing professionals will also benefit from understanding the freelance creative side of content marketing. Are you fair with your expectations? How do you stack up against freelance expectations or others utilizing content marketing? The Current Content Ecosystem is about where the content marketing industry is now, how it has grown, and where it is going. We looked at the industry from three different viewpoints; the freelance creative, the business marketing professional, and the agency marketing professional. This webinar will discuss our findings and the interesting data we uncovered. What is the most common obstacle facing agencies when creating content? How do business professionals feel about their content marketing efforts? How do creatives view their pay rates? Do creatives receive attribution or bylines for their work? These are a few questions that will be answered along with CopyPress’ thoughts on the industry. How has the content marketing industry developed since our last analysis? We will discuss a few key points comparing the current state to our previous 2013 findings. 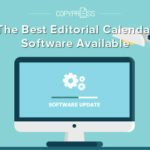 We are continuing to publish content marketing resources. Our resources page shares recent infographics, white papers, past webinars, case studies, and registrations for upcoming webinars. Be sure to check back regularly for new content. 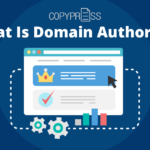 As always, our CopyPress resources are free to download. Are you looking for a topic we have not covered yet? Let us know, we would love to share all of our expertise with you.